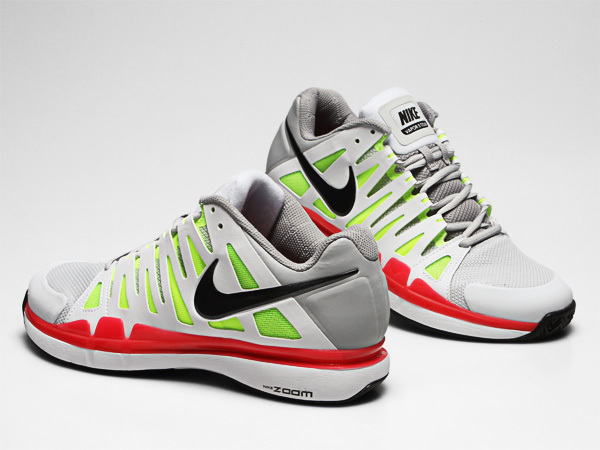 Check out this new video from Nike tennis showing Federer’s new shoes to kick off 2012. They are the Nike Zoom Vapor 9 Tour, and come in red and grey (as shown in video below). Federer has already been wearing these new shoes to start 2012 and will sport them at the 2012 Australian Open, along with new Nike gear from the spring 2012 season. Watch every single match of the 2012 Australian Open on FF07tv. Play begins Monday, January 16. Stay tuned for more on schedule information and Federer’s preparations ahead of the year’s first grand slam.